Is WILD LIFE Sydney Zoo suitable for children? 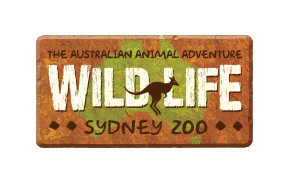 How many areas are there within WILD LIFE Sydney Zoo? Yes, our kangaroos call the Kangaroo Walk-About home. This is a fence-free experience, where our kangaroos and wallabies move freely throughout the visitor walking paths. The enclosure is designed so our kangaroos have complete control – they can choose to get up close to visitors or take a break off the beaten path for some privacy. No matter their decision, strategic viewing areas will always ensure you get an amazing look at our kangaroos. Enjoy some macropod madness in Kangaroo Walk-About. Meet our Grey Kangaroos Martha and Daphne, our Kangaroo Island Kangaroo Dot, and our mob of Agile Wallabies. What do they eat? Do they really box? How far can they hop? Entry to the Kangaroo Walk-About is part of any general admission pass. Click here to purchase tickets.